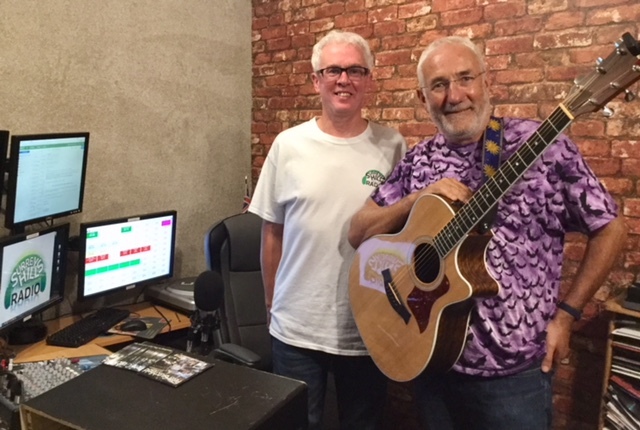 Having played his songs regularly since his first mp3 arrived in the MyMusic inbox earlier this year, the TRANSMISSION show for unsigned artists on 12th August included a live session and interview with Farnham based singer songwriter Peter Crutchfield. With song titles including ‘Farnham’s got a Poundland’, ‘First world problems’ and ‘I love to be your dog’ – the latter extolling the joys of being your canine friend – we knew we were in for an entertaining evening. We were not disappointed! ← Work Experience Week 2018 – How did they get on…! ?